Located in the town of Hanamakonda, Telangana State, the Thousand Pillar Temple is dedicated to Hindu deities Shiva, Vishnu and Surya. As the name itself suggests, the temple in that time was an architectural miracle. Thousand Pillar Temple consists of one temple and other buildings. The architectural design of this place involved a lot of science and it is said that this temple had 1,000 pillars in the structure, but no pillar obstructs a person in any point of the temple to see the god in the other temple. 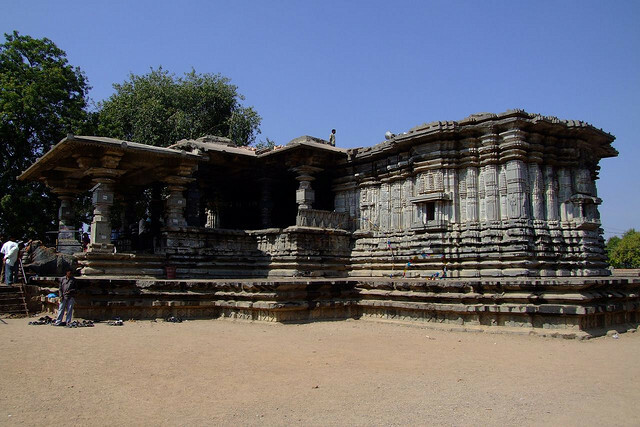 The Thousand Pillar Temple was built during the period of the Kakatiya dynasty, probably in the late 12th century. The Kakatiya dynasty had left its mark in Telangana in a big way by creating many excellent pieces of architecture and this temple is considered to have been one of the most beautiful monuments. Unfortunately, it was destroyed by the Tughlaq dynasty during their invasion of the Deccan. Even though the pillars have been destroyed, this is still a beautiful place to visitwith the garden surrounding the marvelous piece of history. However, if you are looking for historical monuments to visit or get a historical experience, this is not a place for you. The Thousand Pillar Temple was renovated in 2004 by the government of India.